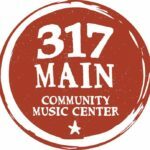 Click here to send an email to the board and staff. Michael is the owner/farmer of Bahner Farm in Belmont, a 37 acre MOFGA Certified Organic vegetable farm. Mike met Mark Guzzi of Peacemeal Farm while in school at UMaine Orono. 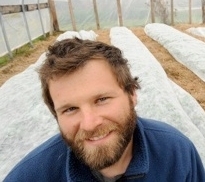 He worked at Peacemeal for four years, learning the ins and outs of the organic vegetable production business, before joining forces with Christa to form Bahner Farm. He spends the winter working for Johnny’s Seeds of Albion, and can’t wait to get out of the office and back on the tractor. His farm favorites include Hakurei summer turnips, beets, and Striped German tomatoes. Bahner Farm attends the Northeast Harbor, Eden Bar Harbor and Camden Farmers’ Markets. Sherie Blumenthal has served as the Program Development Coordinator for the St. Mary’s Nutrition Center (NC) since 2008. The NC comprehensively promotes healthy communities through advocacy and education programs in the areas of health, hunger and community nutrition, youth development, and urban agriculture. 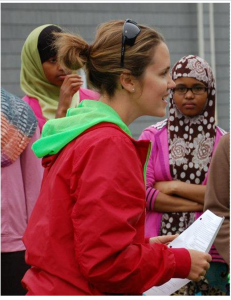 Sherie is responsible for new program development, support, and management with an emphasis on equitable food access programs including farmers’ market incentive programs, online buying club, and mobile market initiatives. 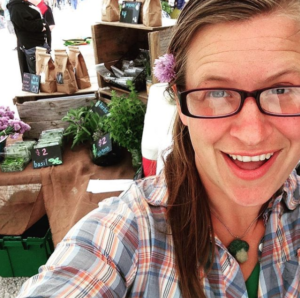 Sherie serves as the acting manager for the Lewiston Farmers’ Market, serves on the Board of the Maine Federation of Farmers’ Market (MFFM) and represents the NC as part of the Maine Local Food Access Network (MLFAN). Johanna, along with her husband Jarret, owns and operates Moodytown Gardens in Palmyra. They raise mixed vegetables and pastured pork and sell at the Skowhegan Farmers’ Market, Belgrade Lakes Market, Hampden Farmers’ Market, at their farm stand, through The Pick-Up CSA in Skowhegan, and wholesale. Johanna works to help grow and strengthen the markets they belong to and believes in the importance of increasing access to healthy food for all. John grew up in Warren, ME, graduated from the University of Maine with a B.A. degree in History, and has lived in Newport since 1976. He and his wife have three grown children and four grandchildren. John dairy farmed 1972-1996, has grown hay since 1996, grew squash and pumpkins for wholesale/retail 2000 – 2016, has been growing Christmas trees since 1996, and has engaged in small-scale grass fed beef and pork production since 2000. 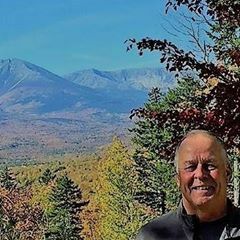 Although he has participated in several off-farm business ventures, his main focus and interest has always been agriculture, and he understands the joys and challenges of farming in Maine. Mark Guzzi owns and operates Peacemeal Farm in Dixmont with his partner, Marcia Ferry. They grow MOFGA Certified Organic vegetables for sale at farmers’ markets in Orono, Belfast, Camden, Waterville, Bangor and at their farm stand in Dixmont. 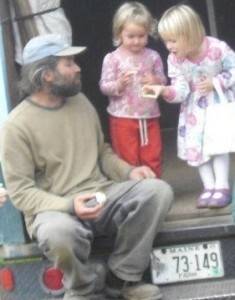 Mark and his two daughters enjoying a snack on the back of the truck. Brittany Hopkins owns Wise Acres Farm in Kenduskeag with her wife, Joy Trueworthy. They grow organic vegetables and berries, which they sell at the Bangor, Ellsworth and Hampden Winter farmers’ markets and through a CSA program in greater Bangor. 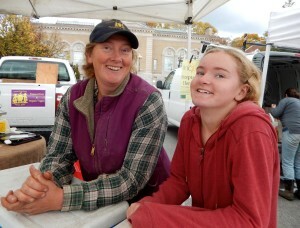 Brittany is co-master of the Ellsworth Farmers’ Market and treasurer and EBT coordinator of the Bangor Farmers’ Market. 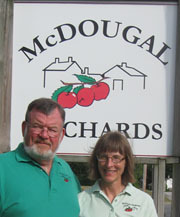 Jack and his wife Ellen operate McDougal Orchards in Springvale. McDougal Orchards is a diversified seventh generation family farm in Southern Maine specializing in the production of high quality apples for sale to pick-your-own, farm stand, Sanford Farmers’ Market and local wholesale customers. Jack attends and is the manager of the Sanford Farmers’ Market. Jenna is the owner of Tasteful Editing. She has specialized in editing cookbooks and food writing since 2009. She works with new and best-selling authors, and she edits manuscripts of all kinds—from Texas barbecue to vegan baking. Before moving to Maine, Jenna was a graduate student in women’s studies and an active volunteer with Atlanta-based nonprofits. She is a longtime farmers’ market shopper, and she believes in supporting local farms and promoting access to locally grown food. Jenna lives, works, and cooks in Ellsworth with her husband. BrennaMae owns and operates Patch Farm with her partner Brandon McKenney, mother Nancy, and daughter Ainsley. She grows certified organic vegetables, herbs and fruits. They also raise organic eggs, chicken, forest-raised pork, and have a fledgling herd of dairy goats. 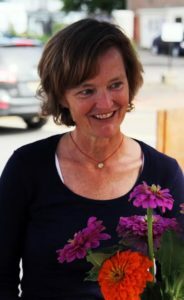 BrennaMae runs the Bridgton Farmers’ Market, and has been integral in implementing and running the market’s SNAP program. 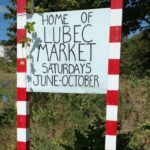 They also attend the Lewiston Farmers’ Market and sell through a CSA, their farmstand, and various wholesale accounts. Hanne and her husband, Dan Tierney, have owned and managed Cornerstone Farm in Palmyra since 2001 with the help of their children Edie and Sam. Hanne has a BS in Animal Science from the University of Maine and farms full time. 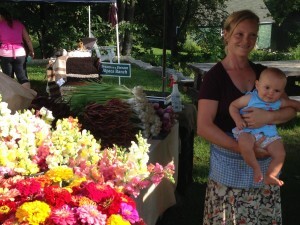 Cornerstone Farm sells at the Orono, Bangor, Portland and Waterville summer and winter markets. Angie and her husband live on a small farm and sell mixed vegetables and fruit at the Houlton Community Market. Angie has been on the board of Houlton Community Market since its inception in 2009 and has been active in establishing the SNAP program. 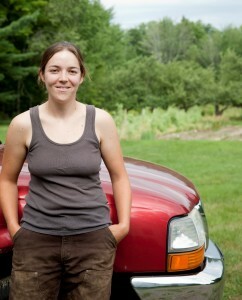 She currently works at the Southern Aroostook Soil and Water Conservation District.